Simple, elegant and square! 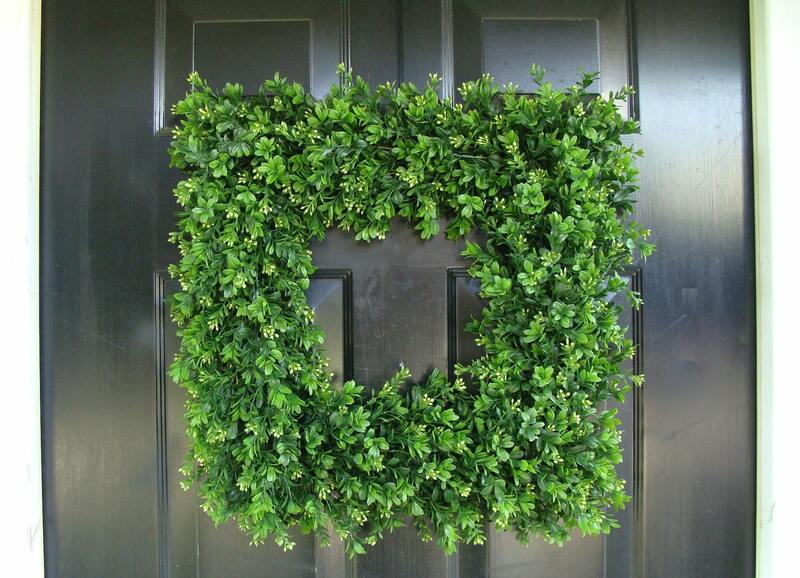 This beautiful and durable boxwood wreath makes a great statement. The wreath shown measures 20 inches square this large wreath is hand wired around a metal frame so it will last for years. Made of durable faux, plastic, realistic boxwood and a vinyl coated metal wreath frame so this wreath can with stand the elements. 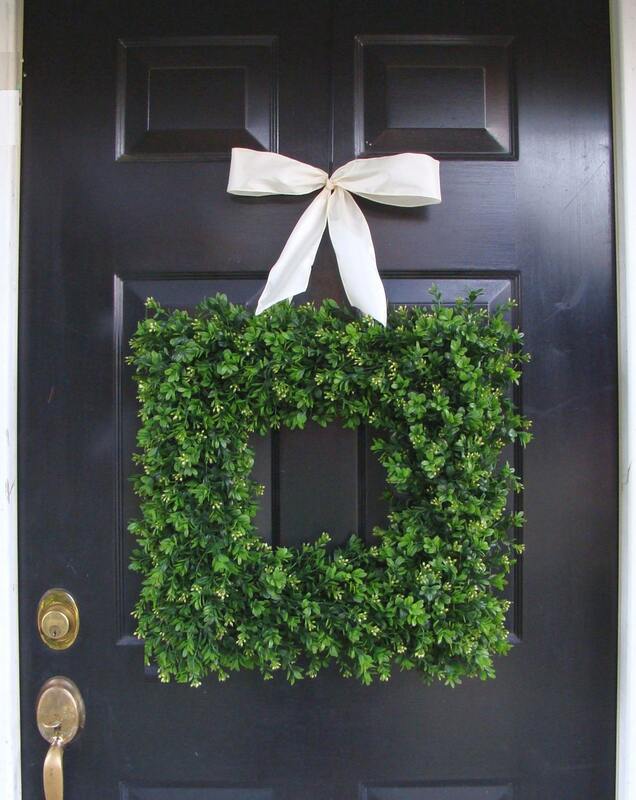 This wreath is thin enough to fit in between a storm door and can with stand the summer heat. Available in sizes 14-26 inches in diameter (length and width). Also available hung with your choice of ribbon. See shop listings in Boxwood Wreath section. 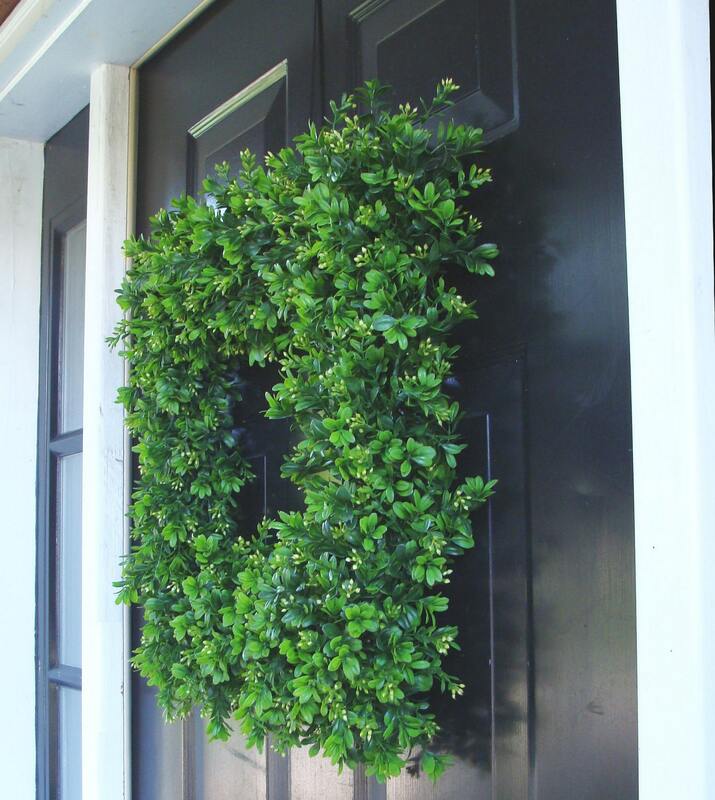 Other sizes of my round boxwood wreaths are available. Click the links below to purchase. Gorgeous Boxwood! Exactly as described! This is a great wreath. Well-constructed and packaged very securely. Very pleased. I bought two for my double glass front doors. Absolutely gorgeous!! They were made and shipped very quickly!! Love, love, love them!!! !